93.3 WKYQ would like to thank you for making our 40th year one of our most successful ever! We appreciate you listening to the Rabbit Station in 2013, and for attending our remote broadcasts and concerts, and for participating in our contests and promotions! If you thought last year was special, you ain’t seen nothing yet! Get ready for even more fun and surprised in 2014! 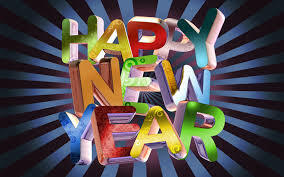 Wishing you health and prosperity for the new year, from 93.3 WKYQ!